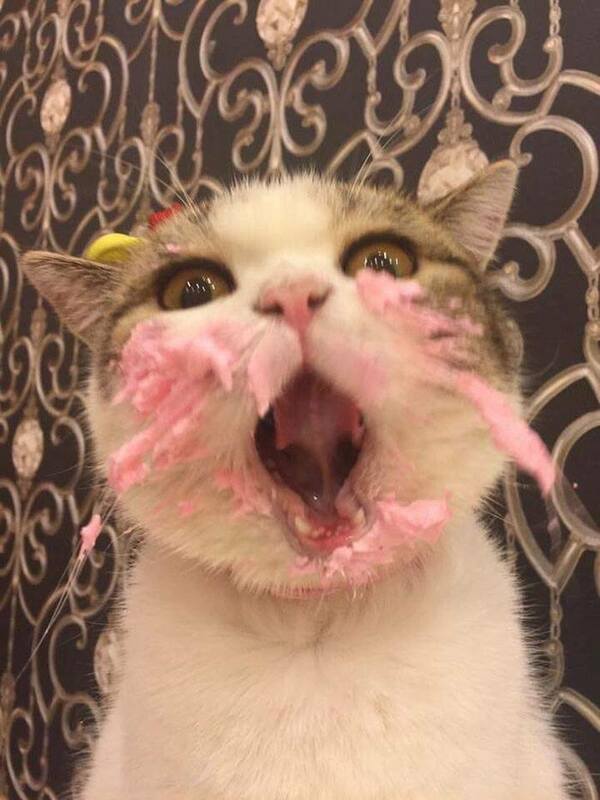 We do not know much about these hilarious pictures of a cat eating a birthday cake. We do not know his name or when his birthday was and we definitely don’t know what presents he received. 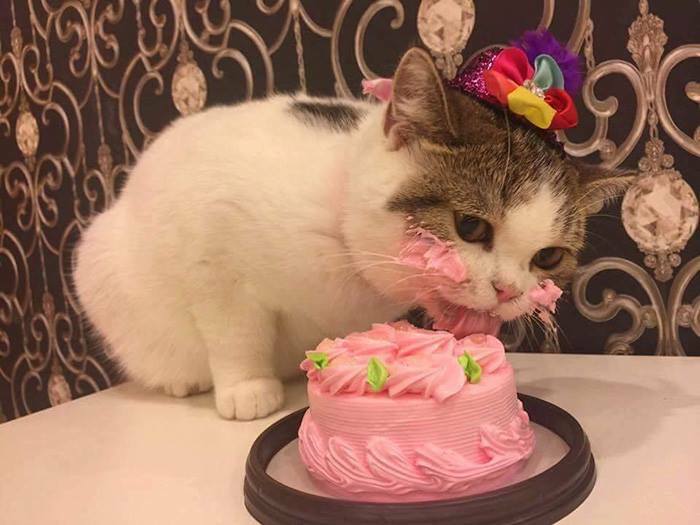 We also don’t know what the cake is made of, let’s hope it’s full of ingredients that are healthy for kitty. What we do know is that he is really enjoying himself, it’s written all over his face or should I say smeared. 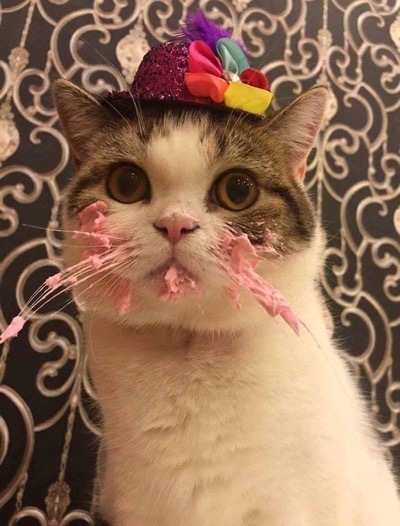 A cat…in a hat…eating birthday cake, how delightful! 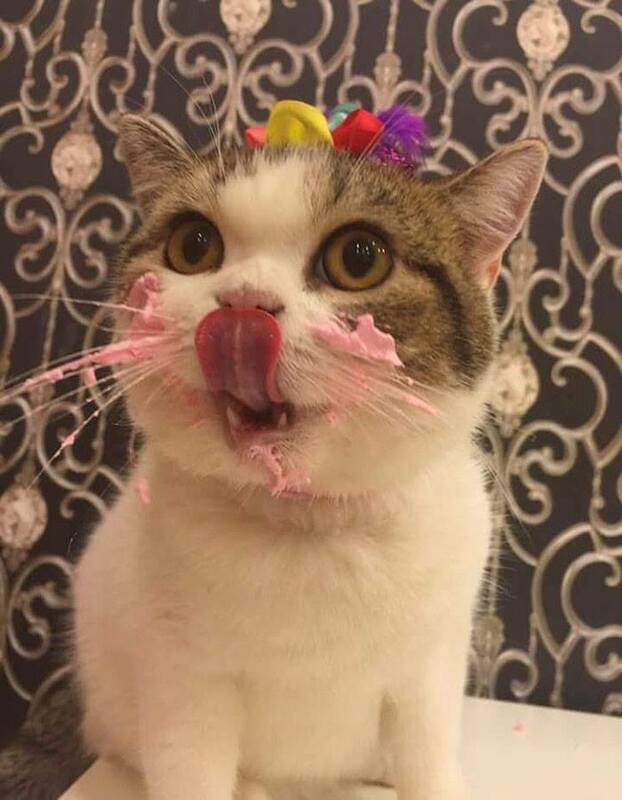 I’m covered in “goo” but I don’t care!